Employees who work from home on a part time basis can save their employers upwards of $10,000 per year, while saving between $1,500 and $7,000 on personal expenses related to commuting. People who have the option to work from home also reported being 20% happier than those employees who don’t have the option to work from home. Productivity has been shown to increase by 20% or more, as home-based workers tend to work harder and longer than workers in an office. 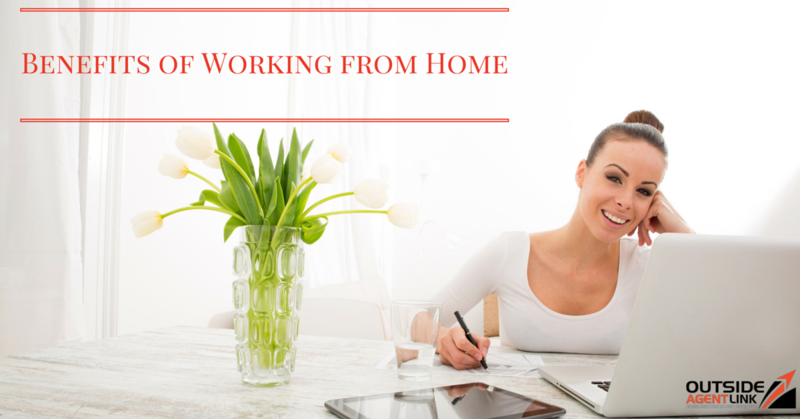 Giving employees the opportunity to work from home reduces the number of unscheduled absences, which can save employers significant amounts of money each year. Measuring employees by what they do, rather than where they do it, leads employees to feel more rewarded about their work, and thus more passionate. They are also more likely to be loyal to the company, which saves on training costs related to turnover. What’s even better than working from home? Being your own boss! Learn more with Outside Agent Link.